Marion Bermuda yacht race is an open ocean race held biennially in June. It starts at Buzzard Bay off the town of Marion, Massachusetts, USA and finishes at the St. Davids Head in Bermuda. The length of the course is 645 nautical miles (1,195 km) and takes several days to complete. It is open to amateur skippers as well. The race was originally conceived by W. David Kingery. He was in the governing body of Blue Water Sailing Club and also a member of Beverly Yacht Club. In 1975 he wanted to sail single handedly from England to Newport. However, in order to qualify for such a voyage, he had to undertake a sail up to Bermuda. He completed the sail successfully. While on this voyage, he conceived the idea of organizing a race for cruising yachts between Marion to Bermuda. He acquired support from Royal Hamilton Amateur Dinghy Club of Bermuda who now hosts this race. He also went on to receive support from Blue Water Sailing Club and Beverly Yacht Club, so that he had both ends covered. 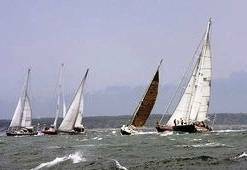 In 1977 the first race took place with 104 participating yachts. Those days the average size of a boat was about 38 feet (or 12 m). The boats used only Celestial Navigational systems. In the first race the boats had to move slowly in the mild southwesterly winds. The boat SILKIE received the overall line honors. This boat received several trophies in the subsequent Marion to Bermuda Yacht races. Today the average boat size is well over 50-feet (15 meters) with some boats would be longer than even 70-feet. They use modern navigational equipment and current technology making the sail and rigging easier. However the challenge of handing the rough ocean course over several days and relying on friendship and mutual trust to complete the race remain unchanged. In 2011, the prevailing race timing record was broken by the boat LILLA captained by Simon De Pietro’s Briand who completed the Marion to Bermuda course in less than 3 days beating the earlier record by three hours. It was his first attempt at this race. There is a Race Mentor Program offered by the organizers of the race to the skippers who are participating for the first time. In this program the skippers are linked to other skippers in the same area who have good experience of the race and its course. They interact with each other and the new skippers learn about requirements and dos & don'ts of the race. A Safety at Sea seminar is held three months prior to the race to help the participants prepare for the race and take all necessary safety measures. 1) Sailing Activities: Know about all the sailing & yachting activities in Bermuda. 2) Bermuda Water Sports: Various water sport activities in Bermuda.